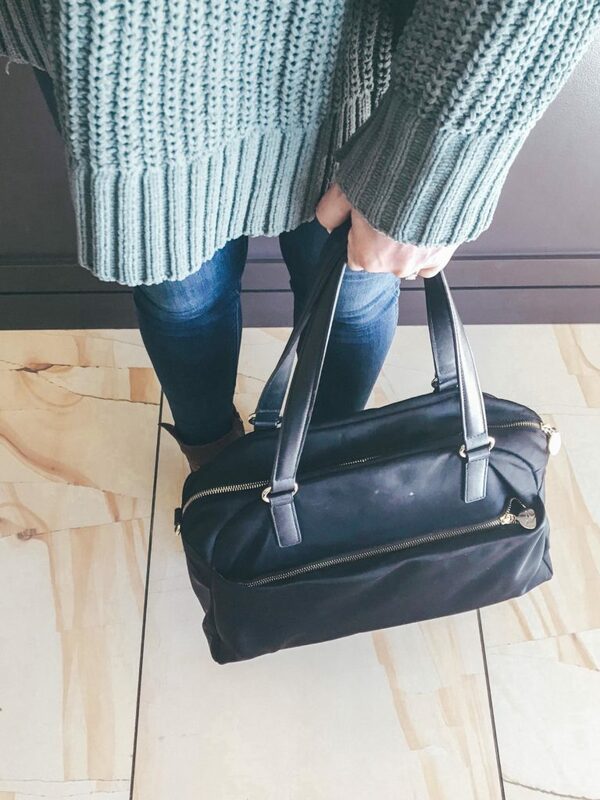 I’m by no means a beauty blogger (obviously) and am a pretty low-maintenance gal when it comes to beauty routines, but as a frequent traveler and someone who spends a good bit of time in airports, I’ve learned to adjust my beauty routine on travel days so I arrive wherever we’re going feeling good and not gross. Like most people, my skin gets really dry when we travel, especially on flights. 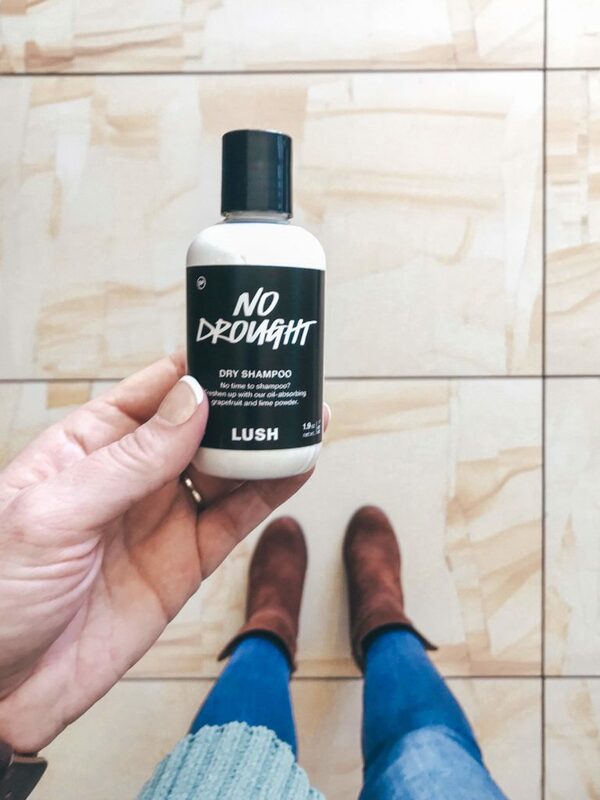 To help prevent this, the night before we travel, I use the Neutrogena Hydro Boost before putting on my evening moisturizer and then once again in the morning before putting on my morning/daily face moisturizer. 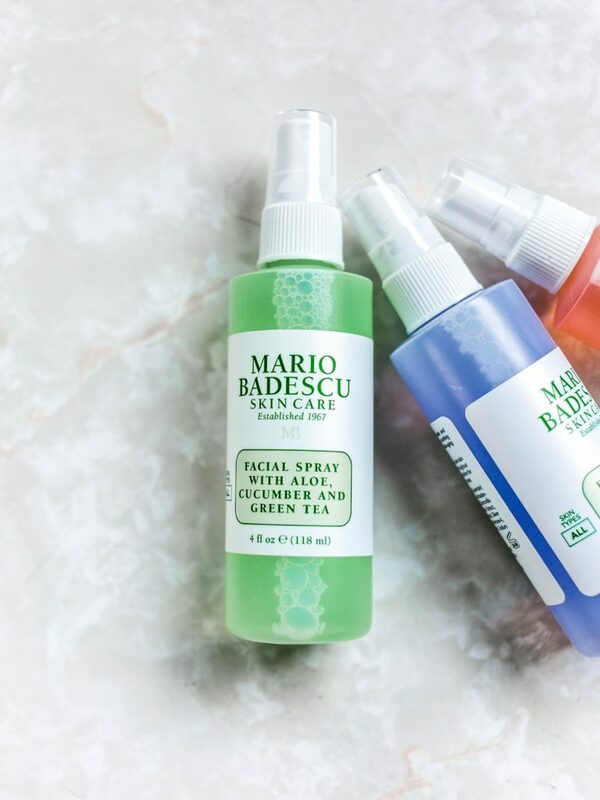 Throughout the travel day in general, I use this Mario Badescu facial spray when I feel like I need it. It sounds weird to spray your face, but it’s a nice refresher (it doesn’t mess up your makeup at all). I also try to drink as much water as possible to stay hydrated. 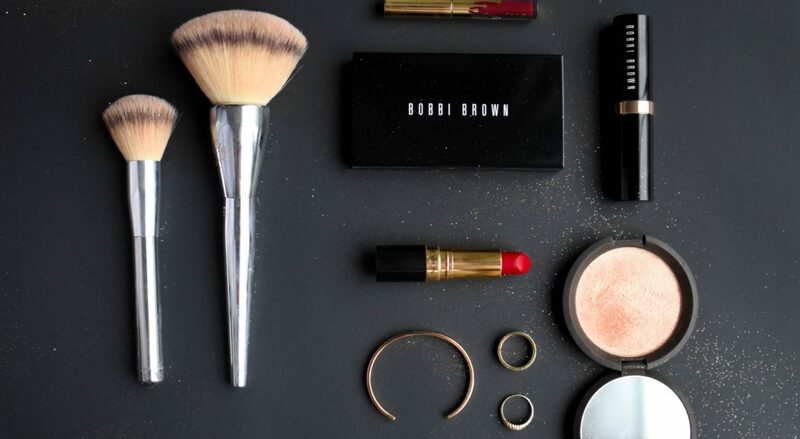 I carry all of this in the little pouch you see here and keep it in my airplane tote. I keep other things in there too that are just generally great for travel days and life, like a Tide Pen, hand lotion, breath mints/gum, chapstick, Ibuprofen, a hanky my sweet husband gave me on our wedding day, and hand sanitizer. So, that’s it! 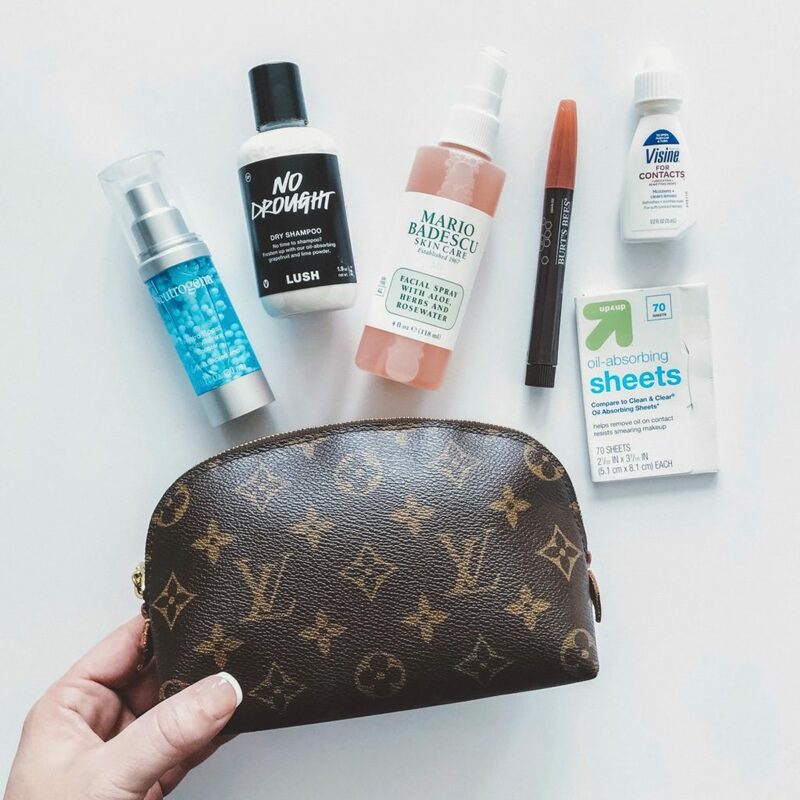 Do you have any travel day beauty routines that are helpful for you?